Almost every art and design business has intellectual property (IP) that needs to be protected. It could be original artwork, a business name, a logo or a unique printing process. Unfortunately, IP has become so complex that many people aren’t sure what can be protected and under which laws; copyrights, trademarks, or patents. Take these two commonly heard phrases: “I need to copyright my slogan,” or “I want to patent my new idea.” If I had to guess, I would estimate that at least half of the people reading this article don’t know why those two statements are wrong. The result is that too often an art business’ IP gets left on the table, unprotected, without realizing its true value. Yet, while IP may have complicated and ambiguous rules, conceptually it isn’t hard to grasp if framed correctly. At a fundamental level, think of IP this way: copyright protects your art and writings, trademark protects the names, symbols or slogans for products or services that you sell, and patents protect your inventions and their designs. Also, ideas cannot be protected, only the product of ideas. With that basic structure, let’s review each type of IP and sort out some of the confusing aspects of each. A trademark is a word, a symbol, a slogan, or even a sound that identifies a product or a service which is unique enough to be distinguished from competitors. The owner of a federally registered trademark can stop others, anywhere on the country, from using the same or similar name, symbol or slogan for the same types of products or services. Trademark ensure that consumers won’t confuse one company’s product or service for another company’s product or service; a concept knows as “likelihood of confusion.” Whoever gets the federal trademark wins that mark, but not for every product or service, only for the class of goods the company sells. A marks for a clothing line stops other from using the same mark for clothing, but a tractor manufacturer can still use it. Nobody will confuse the clothing company for the tractor company. And if the tractor company does make clothing, then they can register the mark for both tractors and clothing. Trademarks are most often confused with copyrights because people often associate copyright with creativity and since many trademarks include creative logo designs, imaginative names, or catchy slogans, it is not surprising that people think of copyright. However, titles, slogans, short phrases, names and headlines are generally not copyrightable. Neither are facts, fonts or lists, such as recipe ingredients or the contents of a room on Storage Wars. The courts have said that they aren’t creative enough. So even a phrase as original as “M&Ms melt in your mouth, not in your hands‚” does not have copyright protection. Logos on the other hand may have both copyright and trademark protection, if the logo is distinctive, unique and original. 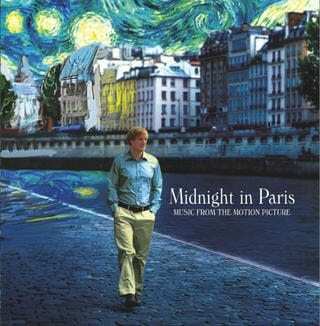 This rule was reaffirmed somewhat recently in a case against Woody Allen by the William Faulkner Estate, in which Allen used Faulkner’s famous lines for the movie, Midnight in Paris; “The past is never dead. It’s not even past.” In the film, Owen Wilson’s character says, “The past is not dead. Actually, it’s not even past. You know who said that? . . . Faulkner. And he was right. And I met him, too. I ran into him at a dinner party.” The court dismissed the case concluding that while the novel itself has copyright protection, the short phrase does not rise to the level of creativity required for copyright protection. So when looking to protect short phrases, symbols or names, think trademarks. Unfortunately, that common misrepresentation can cause serious issues for businesses because they think their names are protected when they aren’t. It is not uncommon for art businesses to invest significant time, effort and money starting their business or bringing a product or service to market, and years later, receive a cease and desist letter form the trademark holder. The mark holder can force the infringing company to change their name, destroy all the products in inventory along with any business materials containing the infringing name, as well as pay damage awards to the mark holder. A situation like that could put a company out of business. So it is extremely important to make sure that you do a trademark search on your name or slogan to make sure it is free from infringing on someone else’s mark, and then apply for your own trademark. Also if the name or slogan must be sufficiently different from other marks in your product or service category. It cannot be confusingly similar to another trademark or it won’t be approved. Confusingly similar means that a mark doesn’t have to be exactly the same to infringe or be rejected by the Trademark Office; your mark cannot sound like or look like another mark in the same category as your product or service. For example, Company A develops and markets photo manipulation software for desktop computers, called “Photo Phantasm,” for which it receives a Federal Trademark. Later, another company, Company B, develops a mobile app called Fotofantasm, which provides funky filters for Instagram. After a year of selling the app, Fotofantasm starts to gain market share, and Company B decides to trademark the name. Even though Fotofantasm is a single word, spelled differently, and is a product for mobile devices and not desktops, it will likely not receive a trademark because it sounds like Company A’s mark and is in the same category of goods as Photo Phantasm. Since Photo Phantasm is used for photo manipulation, it is not hard to imagine that the Company A decided to make a photo filter app. The result is that some people would buy the app based on the great experience they had with Company A’s. Now imagine that Company B’s app crashes all the time; the buyer, not realizing the app isn’t made by Company A would nevertheless blame Company A’s for its crappy product, causing the customer to stop buying Company A products. Word of mouth may harm Company A’s reputation beyond just that one customer. In addition, Company B may be generating sales based on Company A’s reputation, which is unfair. Even if Company B’s product was a hardware lens for the iPhone and not an app, it may still be confusing, albeit less so. But if Company B’s product was a camera mount for electron microscopes, the likelihood that Company A as consumer software company was also make high end scientific hardware. Remember that the one who registers first wins. One other misconception about trademarks is particularly important for visual artists who often use their personal name as their company name. Personal names are not usually trademarkable because the exclusive right to that name means that nobody else can use the name for the same types of goods. Everybody should be allowed to use their name for their business, however, when a personal name receives sufficient notoriety to be considered a brand, then a trademark is possible. Think of someone named Calvin Klein opening a small clothing store in Alabama. There is no doubt that people would think it was the clothing giant’s store. Romero Britto trademarked “Romero Britto” for “sculptures of metal, paintings; posters; and art prints; sculptures of wood; and sculptures of resin.” He also trademarked just “Britto” for “on-line retail art and gift shops; and retail art galleries. 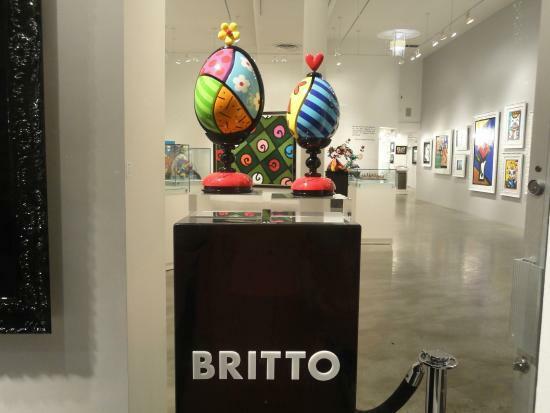 So anyone using “Britto” as a company name to create or sell art in stores or online will be infringing, even if their name is Britto. Another confusing aspect of trademarks it that generic or descriptive words cannot be trademarked because if someone had exclusive right to the words, then nobody else could use them to describe what their company does. Imagine if someone trademarked “Camera Shop.” If that were approved, then the owner could stop anyone from using the term “camera shop,” so nobody could use camera shop to describe their camera shop. So the more arbitrary or the less the potential trademark has to do with the product or service, the more likely it will be approved. For example, Apple for computers, Izod for shirts or Nikon for cameras. “Canon Camera” received trademark approval, but the company had to disclaim the word “camera”, which basically means they do not have exclusive rights to the use of that word, only Canon. If the trademark isn’t registered, or if a person or company has applied for a registration but it has not yet been approved, the owner can use ™ with the name, symbol, or slogan whenever it is used in the marketplace. ™ is similar to marking your territory. It does not provide protection in and of itself, but if another company in the area uses your name, and neither have trademarks, and you believe that your customers are being confused, you can sue under common law. Having used the ™ shows the court that you not only had the name first but claimed it locally. However, if a mark is federally registered, then use ®. But original works that aren’t fixed, like dance moves, are not copyrightable, however, a film of the dance moves, or drawings and descriptions of them would be copyrightable. Finally, since registration os not required, you don’t need to use a © on your work, other than as a way to let people know who you are and remind them that the work is copyrighted. Also, in a lawsuit, if you can show that the copyright or any other identifying information such as metadata, was removed by the infringer, then you can receive up to $20,000 per incident. Be aware though, that proving the infringer was the one who removed the identifying information and they didn’t get it that way, is not always easy. Despite registration not being required, all creators should register their works because of the benefit that registration provides. Registration with the U.S. 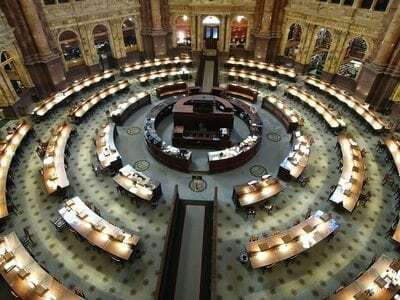 Copyright Office gives the copyright holder the ability to receive statutory damages and have attorneys fees paid for in a lawsuit, if you win, and if the registration occurred before the infringement, or within three months of making the image available to friends or the public. Ordinarily, if an artist finds an infringement, they are entitled to the actual damages, which include the reasonable market rate fee they would have charged for the use, plus any losses due to the infringement, as well as all the profits the infringer made as a result of the infringement. In most cases, however, a single image being used with permission doesn’t have much in damages. The licensing fee may be a few hundred dollars, no losses occurred, and the image wasn’t being used in a way that generated significant income. So hiring an attorney to sue would cost far more that what you pay the attorney. Registration ensures that you can hire an attorney as receive enough damages to warrant the lawsuit. Otherwise, you may be out of luck. Registration is relatively inexpensive. The fees are only $35 per work, but if you are a photographer, you can register up to 750 photos taken by the same photographer, in the same calendar year, for $55. There are some other confusing concept such as Mickey Mouse’s contribution to the duration of a copyright, as well as fair use, and whether graffiti or street art can be copyrighted. Those topics are a but involved but are all flushed out in my free eBook, the Law of Creativity, which can be found here. Patents are probably the most confusing aspect of intellectual property, and justifiably so. The patent process is so complex that patent applications can only submitted by a registered Patent Attorney. To become a Patent Attorney, a registrant must have graduated from an accredited law school, be admitted to at least one State Bar (by passing the state’s bar exam), and have a science or engineering degree from an accredited university or received equivalent accredited coursework. As well, Patent Attorneys must pass the extremely difficult Patent Exam, which tests knowledge of the Patent Office’s rules and procedures. To put that in perspective, there are about 1.2 million attorneys in the United States but only 25,000 patent attorneys. So if patents confuse you, don’t feel bad, most attorney don’t understand it either. There are two types of patents; utility and design patents. Design patents are the ones most common for members of the visual art community. Design patents protect the ornamental, non-functional design of manufactured item, such as the shape of the Coca-Cola bottle, the tread on a tire, and a vehicle grille. Utility patents are issued for machines and manufactured items, processes, certain business methods, and some software. Naturally occurring products in nature, scientific principles, laws of nature, mental processes and mathematical expression or formulas are all non-patentable. Utility patents cover the way an invention works while design patents cover the way an invention looks. Just like copyright and trademark, patents provide the exclusive rights to decide how, when, where and who can use your invention. Visual artists generally don’t create the type of work that falls under utility patents. For example, you cannot patent a painting. Paintings are the purview of copyright. However, the steps in creating something or even the paint itself, may receive a utility patentable. Designers who create 3D models or CAD drawings often rely on design patent because while the drawings may be protected by copyright, the produced design is not. So for that a design patent is necessary. Design patents only cover ornamental designs, the design cannot be functional. The design may relate to the configuration or shape of the product, to the surface ornamentation or both. However, the surface design cannot be separated from the product, meaning that if it were to stand alone, then the pattern would be copyrighted, not patented. The patentable design must also be new, and non-obvious. So, nobody can ever have created that design before, anywhere in the world and it also cannot be an obvious design like being the direct result of the functionality. 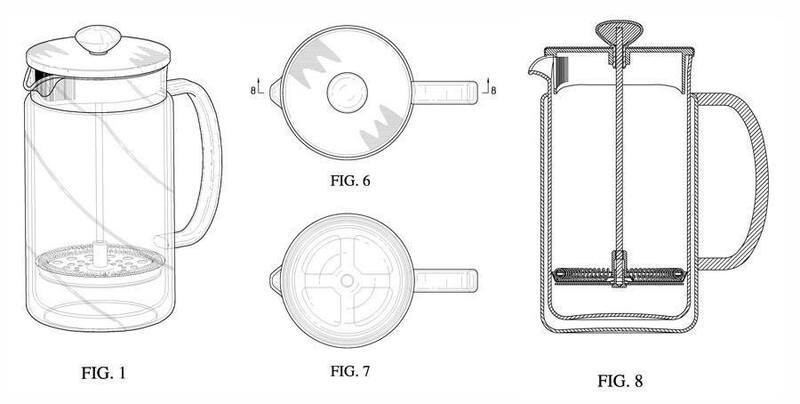 Take a look at the Bodum French Press patent drawings below. Any French Press must be open at the top and have a plunger, so that aspect of the design isn’t patentable, but the use of glass, and both the material used, the location and pattern of the metal bands are protectable. Those designs are unique to the Bodum. Utility patents must be also be new and non-obvious, but they must also be useful. Useful means that the invention performs its purpose and must not be immoral, frivolous or mischievous. An example of a non-useful invention is a method for counterfeiting. Visual artists or member of the visual art community may create new and useful inventions, not even realizing that they may be patentable. Artists often design new methods for crafting artistic works, or experiment with new formulations and materials. However, just as with copyright, a patentable invention must be more than just an idea. Ideas are not patentable, only the useful product from the idea. An idea for a better pain brush is not patentable until you can explain to someone how to make it. The invention must produce a “useful, concrete and tangible result.” For a method or process to be patentable, it must accomplish some practical application. If an artist creates a method for applying certain types of pigments to an outdoor wall, it must have a benefit, such as increased tonal range of the fresco, or decreased fading in strong sun. As well, if a fine artist creates a new paint that improves adherence to glass or stainless steel, that result is concrete and tangible. But the new product or process doesn’t have to be better than another product or process, it just has to be new, useful and non-obvious. Hopefully, any confusion as to how patents, trademarks and copyrights fit into your creative business has been eased. The vast majority of IP in the art world will surround copyright. Trademarks come in a distant second but hopefully that will change for this audience. Patents will always make up a small minority of IP for the art world. Certainly companies that manufacture goods, like Canon and Nikon or smaller companies such as Red River paper all have patents in their IP portfolios, but the majority of service businesses like photographers, writers and artists won’t have much use for patents. Now, given what you have read, once again, take a look at those two statements I mentioned in the intro: “I need to copyright my slogan,” or “I want to patent my new idea.” Do you see why they are wrong? Hi, Steve, since you have a “unique perspective on art and law” I wonder if you could answer a nagging question that my gentlemen friend and I have. He is a weaver (as a hobby, not for profit!) and he loves Helen Hardin paintings or her designs. He used H.Hardin’s designs for his weaving designs for his large size, wall hanging rugs. These are one of a kind rugs, never sold and they are beautiful, skilled works of art but he is worried to have them photographed (for Facebook, for instance) or shown at a possible exhibit because he has never contacted the H.Hardin estates for the right to use the designs. His work is in a different medium (from paintings to woven rugs) but the H.Hardin designs can be clearly recognized in these rugs. He may have modified some of the painting to be able to weave it or may have changed the colors of the originals but not much. I would be very grateful, if you would advise us, what should he do to be able to fully owe his work, instead of having to hide it from public view. One more thing. He has all his rugs in his home right now. Should he die, can these rugs be sold? Would the new owner has some kind of responsibility to the H. Hardin estates? Looking forward to hearing from you and thanking you, ahead of time.